Arnott, an industry leader in aftermarket air suspension products, has introduced aftermarket replacement rear struts for the 2001-‘06 Lexus LS 430. AS-3073 (rear right) and AS-3074 (rear left) are Arnott engineered new air suspension struts for the 2001-‘06 Lexus LS 430 (XF30 chassis) with the height adjustable suspension option, including the LS Ultimate Luxury edition. 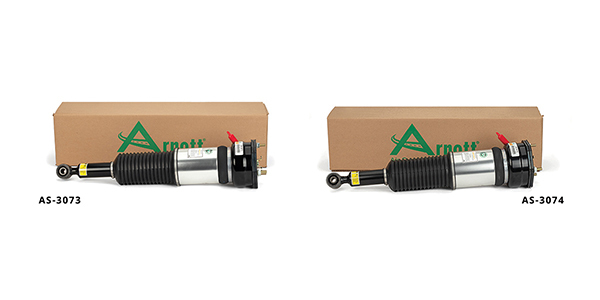 Both Arnott assemblies are designed to replace failing OE struts and feature new, not remanufactured, custom-tuned shock absorbers valved to provide the luxury ride LS owners expect. The Arnott struts are built with a new heavy-duty air bladder from ContiTech that is protected by an aluminum cover. The Arnott struts include a CNC-machined top mount made from aircraft-quality aluminum and special rubber coated steel vibration isolator plates. These new air struts, pre-assembled in the U.S., include Arnott’s long-lasting seals, O-rings, bump stop, heavy-duty crimping rings, OE style quick connect air fitting and a dust boot to protect the shock. 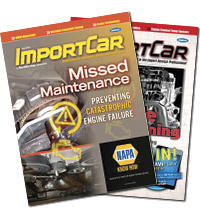 A detailed installation manual also is available. For more information on the company’s extensive line of affordable, high-quality air suspension products for more than 20 vehicle makes as well as motorcycle applications, visit arnottindustries.com.